The HMS Artemis, Sweden's new reconnaissance vessel, is meant to replace the HMS Orion, which is scheduled to retire, and carry on with intelligence activities in the Baltic Sea. A fresh Swedish military intelligence report points out Russia's increased defence capabilities and China's growing interest in Europe and the Arctic as the most important security trends. Earlier, a Russian-language aircraft monitoring resource reported that a US Air Force Boeing B-52H Stratofortress bomber flying over the Baltic Sea had approached the border with the Russian exclave of Kaliningrad on Friday. 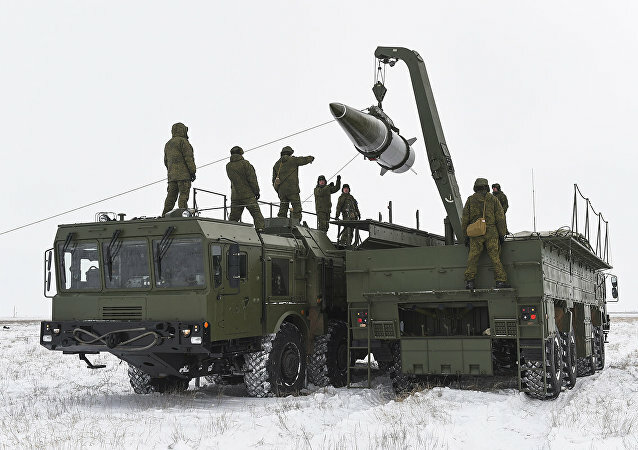 Earlier, the Russian military reported that crews from the Baltic Fleet's air defence formation's S-400 mobile air defence systems had gone on combat duty in the Kaliningrad region amid NATO's continued buildup in the region. 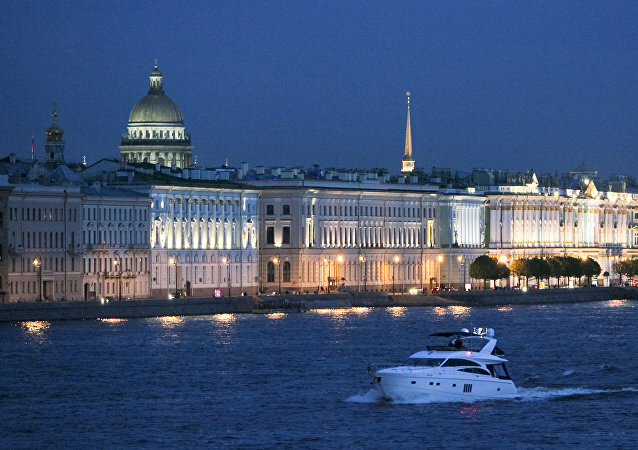 While resulting in substantial delays and financial losses for Russia's prized pipeline project, Denmark's protracted opposition to Nord Stream 2 is likely to put Copenhagen in Moscow's "black book", experts noted. The pipeline will still be completed, they admitted. According to the newspaper Svenska Dagbladet, the Iskander missile system represents Russia's "completely new military capacity". The Russian Defence Ministry published a video of drills being conducted by the Baltic Fleet’s naval aviation, which showed the landing of a Ka-27 military helicopter in difficult meteorological conditions. Earlier in the day, the Russian Defence Ministry issued a statement saying that a Russian Su-27 fighter jet had scrambled to intercept a US Boeing P-8A Poseidon military aircraft above the Baltic Sea, however, without mentioning the date or time of the incident. 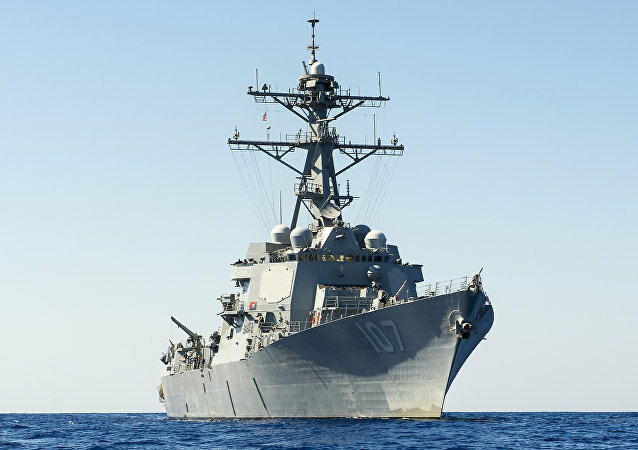 The US fleet has yet to comment on the move, however, the Pentagon has recently been boosting its naval presence near Russia’s territorial waters, with the USS Donald Cook guided-missile destroyer entering the Black Sea over the weekend. Estonian officials, military leaders and journalists have shown a special vigour for making belligerent comments about their eastern neighbour. Last year, the country's former president said that with NATO's help, Estonia would conquer St. Petersburg, Omsk and Tomsk if Russia dared to invade the Baltic country. The US and NATO have significantly expanded their presence in Northern and Eastern Europe in recent months, deploying troops, aircraft, and warships to the area on a rotational or permanent basis, and increasing the number of drills and spy plane flybys in the area amid tensions with Russia. VIENNA (Sputnik) - European nations are reportedly split over the issue of Russian gas pipelines in Europe. EU Commission has refused to back the Nord Stream 2 project, saying it did not contribute to the EU goals of diversifying the gas supplies. The European states have started major naval exercises in the Baltic Sea, with Germany taking a leading role; they are preparing themselves for – you guessed it – the Russian threat. MOSCOW (Sputnik) - NATO Trident Juncture 2018 drills in Northern Europe are obviously anti-Russian, and they lead to deterioration of military and political situation in the region, the Russian Foreign Ministry's Information and Press Department said in a statement on Thursday. Environmentalists have warned that the new canal expected to link the Vistula Lagoon with the Baltic Sea in its western portion will have grave consequences, including the destruction of the lagoon's freshwater ecosystem. Copenhagen has billed the initiative a "signal to Russia," following unfounded claims of "Russian aggression" repeated by the Baltic States and rejected by Moscow. According to an executive of the Russian-European joint venture, the anti-Russian sanctions imposed by the US may provide Nord Stream 2 with more financing options. The sanctions have made the project less dependent on Western investments. As Sweden finally grants permission for the construction of an underwater natural gas pipeline between Russia and Europe, it appears that Stockholm didn’t really have a choice in this matter, and that this project is extremely important for the European industrial sector, according to a Russian analyst. A joint Finnish-Estonian pipeline project, primarily funded by the EU, is aimed at linking Finland to the European gas market; it will cross the Baltic Sea, intersecting with Nord Stream. 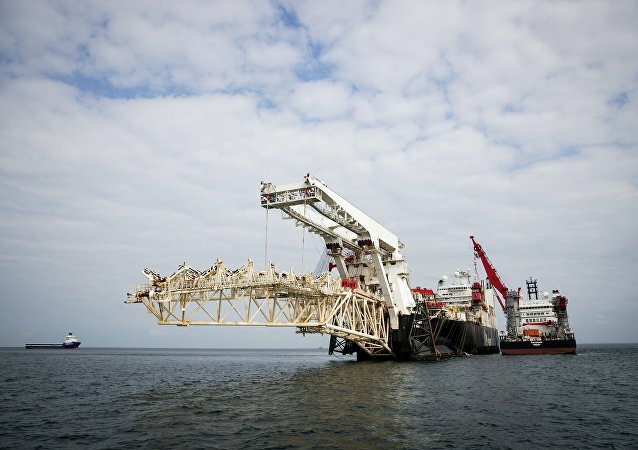 Now that the Swedish government has granted permission for the Nord Stream 2 gas pipeline, which will bring Russian gas to Western Europe, to traverse its waters, Denmark remains the last country to issue a permit. The Danish Defense Minister has firmly dismissed allegations that Russia may use the pipeline for spying.